Making the most of social media as a business owner can be a tricky affair however and demands discipline and a structured approach. In this article we’ll cover areas to review to ensure you’re getting the most out of social media as a marketing channel and not falling victim to its many time-wasting temptations. Before we get into specifics, let’s have a quick review of the size of the opportunity we’re talking about here. Social media is steadily becoming the means by which we mediate our online lives, a fact that has enormous knock-on implications for site owners, developers and designers. Three-quarters of your potential audience is already using social media, the majority of them via Facebook. Do you really want to walk away from those kinds of numbers? They’re not simply checking in every now and then either. On average people are spending nearly an hour on social media every day. Always-on mobile devices and engaging social interfaces mean that the average user is increasingly using social media to plug the gaps in their life wherever they are. Add in the potential for virality and the power of personal recommendations and you are looking at a marketing channel that simply cannot be ignored. So let’s move on to working out how to dominate in terms of your approach to social media. The first key step in taking control of your social media management is making it somebody’s official job. Managing social media is the sort of task that can all too easily slip through the cracks in terms of responsibility. Giving one of your team explicit ownership of it is the first step in bringing clarity to your implementation. Once you’ve identified who’s going to be looking after social, it’s time to give them some hard edges to fit their work into. Begin with the amount of hours they can spend on it per week and clearly list the available resources in terms of budget and manpower that this person will be able to draw on to get the job done. With responsibility assigned and a set amount of time to work with, it’s now a question of working out how best to fill those hours. Focused effort in a small number of appropriate social channels is infinitely better than throwing mud at the wall hoping some of it will magically stick. The right mix will vary from business to business so take the time to research where your desired audience are currently spending their time and map out your target social channels accordingly. Once you know where you’ll be concentrating your resources, it’s time to introduce some meaningful metrics and targets into the equation to keep you and your team honest. With social in particular, it’s crucially important that these are tied into bottom line results in some way. All the followers in the world are completely irrelevant unless they are somehow moving the needle in terms of revenue and profit. With the basics of channel selection, metrics and targets in place, you’ll be in a position to quickly assess how social is doing in the context of your overall marketing mix at any given point. Targets will naturally shift over time as more information becomes available but you have at least established a set of parameters to work within. Social is a hydra by its nature and it is incredibly easy to lose focus while grappling with it. That’s why it’s essential that you are always working within the context of an overall plan rather than winging it. Begin by defining the type of tone you are going for and creating written guidelines as to appropriate content. Don’t leave this up to individual employees to work out for themselves. Get written guidelines in place and make it easy for them to be reviewed and edited over time as circumstances demand. With guidelines in place, you’re in a position to identify core content types. Your social media output is not some impossible to define, amorphous set of magically brand-congruent entities. It can almost certainly be broken down into a specific categories – within the context of your overall content strategy – that you will be looking to generate on a regular basis. Get it all down on paper. As your ideal type of content becomes ever clearer in your mind, start getting into the habit of thinking in terms of three month timelines for the creation of it. Within those three month periods, start planning your social content as campaigns. Campaigns have the following useful characteristics: length, budget, expectations and results. Make sure each of your campaigns has the first three adequately defined before you begin and study the real-world results carefully as each campaign ends to see how best to progress. Now is as good a time as any to point out that you should be prepared to pay for results. The days of the various social channels being run as a delightfully free service for site owners to piggyback on are – as the evolution of Facebook’s organic reach shows – very much coming to an end. 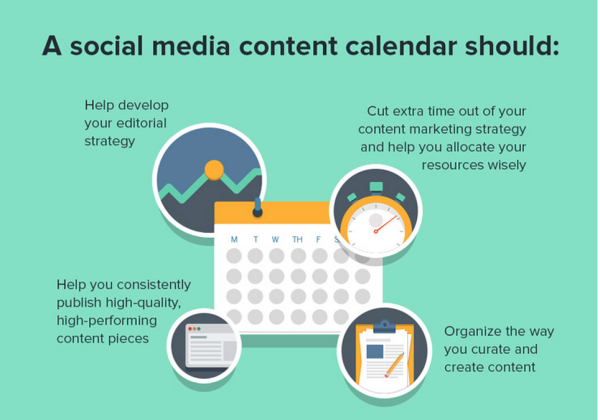 Use an editorial calendar: Yes it might seem like overkill at the beginning, and yes you’ll actually have to work to maintain it, but using an editorial calendar is what distinguishes the social newbies from the pros. Constantly make offers: Sharing and “engagement” are key concerns but what ultimately drives social media success is response. Keep a regular stream of competitions and giveaways active on your accounts to encourage people to take action. Establish posting frequency guidelines: Facebook will demand a different strategy than Twitter and what works on Pinterest could be useless on Instagram. Get a sensible posting schedule dialled in for each channel you’re using and stick to it rather than making it an ad hoc affair. Outsource content creation: It’s next to impossible to effectively run social channels and also provide all the content yourself. Sooner or later you’ll need to outsource elements of its creation to have any chance of scaling your output. Double-down on what works: There is an element of trying to catch lightning in a bottle with social media content creation. If you stumble across a winner, make sure you have enough flexibility built into your schedule to react quickly and double-down on what’s working. WordPress comes with a variety of potential add-ons that can make executing your social strategy that little bit easier, so make sure you’re making the most of the various plugins out there. Sharing: Social sharing is an important piece of functionality to enable on your site – but remember the emphasis should be on driving people to your site from social channels rather than vice versa. Comments: Nobody relishes having to create a separate account to comment on sites. Leverage the power of social commenting using services such as Jetpack or Disqus to make life easier for your users. Broadcast: As new content arrives on your site, you’ll naturally want to publicize it via your social channels. WordPress tools such as Jetpack’s Publicize and the Social plugin from MailChimp take some of the heavy lifting out of this. Master channel tools: Start with the obvious – all social platforms ship with their own increasingly powerful tools to help you manage and analyze your campaigns. Facebook’s Page Insights and Twitter’s built-in Analytics are two of the more obvious examples. Get familiar with them. Buffer: Buffer gives you a handy and efficient way of scheduling content across a variety of social channels and avoiding tedious manual posting. Alternatives include Hootsuite and Postcron. Canva: Social media is an inherently visual medium but not everyone is blessed with graphic skills or access to an in-house designer. Canva is an intuitive tool that will help you crank out professional images quickly and affordably regardless of your skill level. 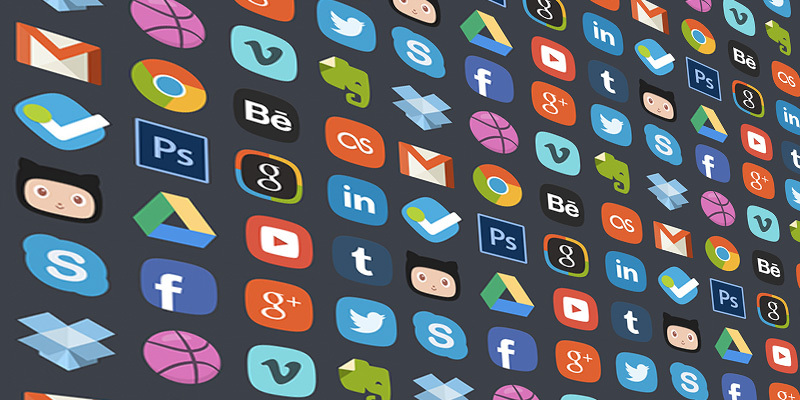 Tool roundups: The social landscape is constantly evolving so one of the best ways of keeping up to speed on new tools is to occasionally peruse roundups on industry blogs such as Social Media Examiner and Buffer. Social media sites’ own resources: As with the tools in the previous section, each social channel runs its own resource and news sections that are worth keeping up to speed on. Bookmark resources such as Facebook for Business, Twitter for Business and Pinterest for Business. Digital Marketer: A goldmine of practical advice and an exceptional resource for learning how to systematize your digital marketing across the board. The recent Digital Marketer breakdown of Facebook Video Ads is a great example of the type of practical content they specialize in. Authority Hacker: Another digital marketing must-read with consistently actionable tips and techniques relating to social and the wider marketing world. The Authority Hacker Pinterest tips are particularly useful. Buffer blog: A constant stream of social media tips and tricks from one of the industry’s leading tool providers keep the Buffer blog at the top of the reading queue. Quicksprout blog: Neil Patel‘s commitment to producing in-depth resources for site owners across the spectrum shines through in Quicksprout‘s treatment of social media. Check out their masterful social media strategy guide for a great jumping-off point. Social Media Examiner: Rather than waste a huge amount of time trying to track fifty different social media industry sites, simply sign up to Social Media Examiner to give yourself a quick way of tracking current trends in the industry. Social media offers one of the largest and most tempting prizes to the eager digital marketer but there is a need to exercise caution and discipline when trying to tap into its power. Make social media someone’s job. Get your overall strategy and execution dialed in. Take advantage of WordPress and third-party tools to streamline your social workflow. Stay up to speed on the wider social world. We’d love to know how you’re currently handling your own social media strategy. What’s working, or what isn’t? What are your expectations for the rest of the year? Is there a particular type of social content you’d like to see us go deeper on here at Kriesi? Get in touch in the comments below and share your thoughts. Thanks Kriesi for the article. Plenty of great info to consider and implement. Social media platform is one great option for boosting traffic instantly on website or blog. Last few years, it has been seen that many small or big organizations are using social media platform effectively and spending a good amount on it. In this article, we can learn spy tricks that help us for wasting our time. Thanks for finding this information in the deep see for us dude. This post is shouting your hard work that is appreciable. Cheer!